This application is particularly suitable for small flats, service rooms, working sites, campers etc. The BABY models are available in the 10, 15 and 30 litre capacities therefore, if installed independently, they allow up to 2 water draws (30 litres) to be carried out simultaneously. The BABY models can also be used with a free discharge mixing unit. The BABY models can also be installed in line with a medium or large central heating system. In this case, they allow the water to be heated to the highest temperatures (ex. 60°C) only in the draw-off point, keeping most of the stored hot water at an average temperature (ex. 40°C). This system ensures the highest quality of service and a substantial saving of energy. 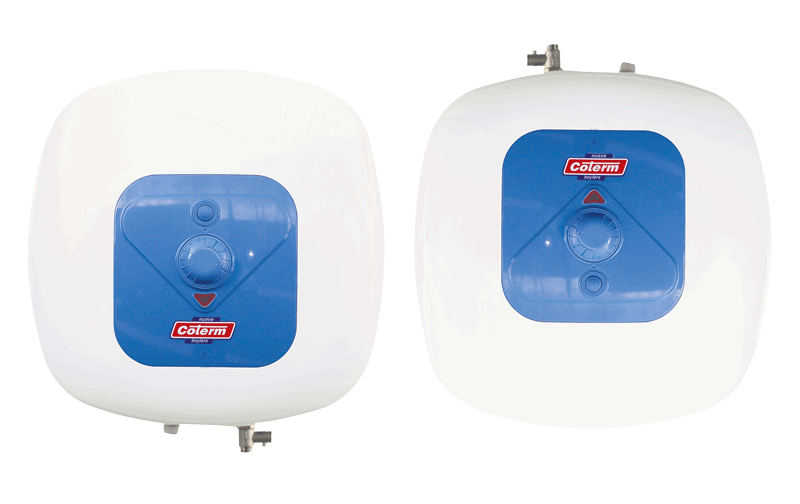 Fill in the form below to be e-mailed ESP-EST SERIES ELECTRIC WATER HEATERS data sheet. Thank you.